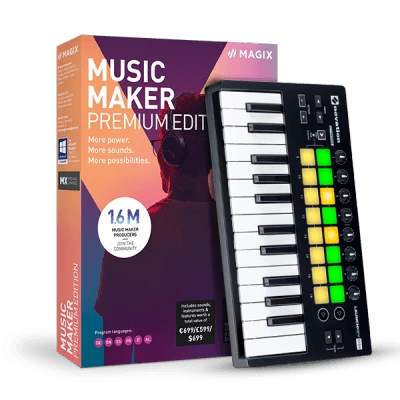 Music Maker 2019 Plus Edition Produce, record and mix music. 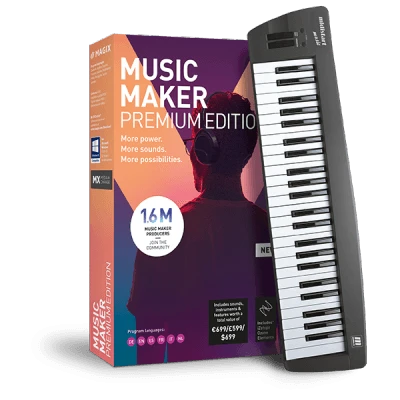 Music Maker 2019 Premium Edition More power. More sounds. More possibilities. 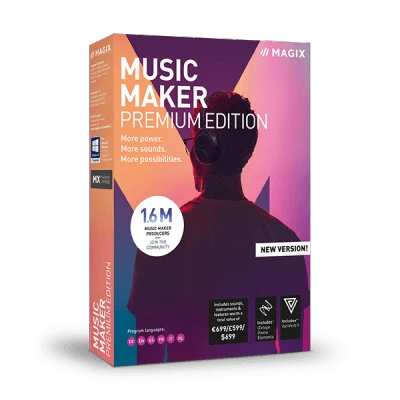 Upgrade: Music Maker 2019 Premium Edition More power. More sounds. More possibilities. 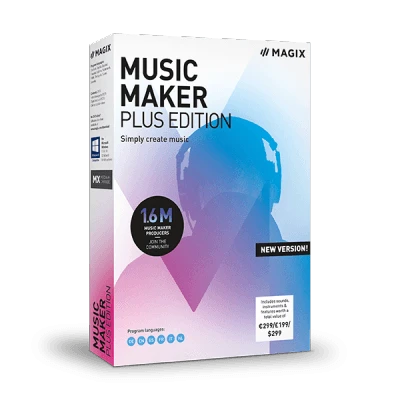 In this video, we'll show new users the basics in MAGIX Music Maker. We're using the basic free version, Music Maker Free, for this introduction. Recording vocals or "real" instruments using a microphone is part of the music production process. And with Music Maker, it's easy. Find out how to record audio in this clip. You can also play instruments by simply drawing MIDI notes in the editor. In this clip, we'll demonstrate this more advanced technique. MIDI notes can be used to control not only software instruments, but external samplers and synthesizers too. You can add new content to Music Maker at any time via the in-app Store. 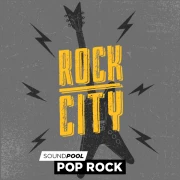 This clip shows you how to purchase and start using the additional instruments, Soundpools, program functions and full Music Maker Editions available in the Store. Want to know how to activate sounds, features & instruments in Music Maker? Click here to learn how.